Sabbath Walk: Christianity: Arrogant and Exclusive? TITLE: Christianity: Arrogant and Exclusive? MAIN POINT: Tackling the issue of exclusivity claimed by the Christian faith. Truth by nature is exclusive. That all religions teach people to do good deeds. That Christianity is wrong to claim sole right to eternity in heaven. That it is preposterous for Christians to insist that Jesus is the ONLY way to heaven? We debate through the night. We argue the pros and cons of religion. Like a chess game, we start well with our pieces on the board, exchange pieces throughout the game, and conclude at a stalemate. My uncle was at that time, an atheist. I think he died a free thinker, still refusing to believe in anything religious. My uncle is not alone in his views. History has not been on the side of Christianity. The Crusades, the religious wars, the abuses of the Church have only gone to push non-believers further away from the gospel. How can there be good news when the practitioners themselves are harbingers of one bad news after another? How can any religion be good when it raises its own name above all other religion? How can anyone really believe in a God who chooses only some to go to heaven and condemns the rest to hell? Is Christianity an exclusive religion? 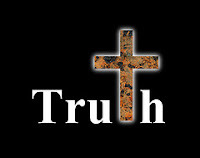 Is it really true that Jesus is the only way to God? Then what about those people who are not able to know Jesus for some reason? A number of weeks ago, I share about my struggle with Jesus’ words regarding such exclusivity. It is not about me not believing in Jesus. It is about how I can reconcile a loving God, with the issue of eternal hell for those who do not get to hear about Jesus. Admittedly, this issue has become a hot potato after the launch of Megachurch pastor Rob Bell’s book: “Love Wins. ” It has been reported that Zondervan, one of the largest Christian book publishers in the world has terminated their publishing relationship with Rob bell over theological disagreements with Bell’s latest book. Harper-Collins, a secular book publisher has since jumped at the chance to sign Bell up, offering to publish “Love Wins.” It has become a huge money spinner for this New York based company. After all, nothing sells better than controversy. For all the right (and wrong) reasons, Rob Bell has garnered even more media attention. Key Point: The struggle with John 14:6 is very much a struggle to reconcile man’s desire to choose his own path, vs the way of Jesus. He then goes to explain how Jesus is both exclusive (that he is the Way), and also inclusive (that there are many ways to Him). Some well-known evangelicals like John Piper has spoken out strongly against Bell. Others like the very popular Tim Challies says that Bell is a universalist, meaning that he believes in a kind of religion that believes all ways lead to heaven. My take on Rob Bell’s book is that ‘love’ seems to be his overriding rule of interpretation. I like the way of love. I really hope Rob Bell is right. The trouble is, has Bell compromised truth in the process? As I read the book, I get the uncomfortable feeling of whether Bell has confused ‘Love Wins’ with ‘Truth Wins.’ The culture we are living in can readily accept nice and easy ‘love.’ They are not so friendly toward ‘tough love.’ They are even more hostile toward 'truth claims.' As Christians, we are called to follow and to obey Christ. Love is an important demonstration of God’s love. Love is indeed a mark of a disciple of Christ. With love comes responsibility. A responsibility to share the truth. A duty to share the truth in love. It is not saying about things people like or do not like to hear. It is speaking out in truth and love, the truth that people NEED to hear. Key Point: Man cannot define love. Only God can. C) Christianity is Exclusive? Others are too. I believe every word of John 14:6. I do not believe that all roads lead to the heavenly Father. We either choose Jesus, or reject Him. There is no middle ground. Not choosing or rejecting Jesus outright is already a choice in itself. The one who rejects Jesus will have to bear the consequences. Sometimes, when Christians are ‘attacked’ by other religions about their statement of faith, remember that such attackers are themselves holding on to an exclusive view of their own! For example, why are atheists so sure that there is no God? This is one reason why I feel that secular people, and those holding strongly to a secular lifestyle are themselves practicing a religion of ‘secularism.’ In other words, ‘secularism’ itself is a religion. Key Point: Like it or not, we are all ‘exclusive’ in our own ways. Truth by nature is absolutely exclusive. It is not exclusive claims that we should be concerned about. It is about truth claims. Truth by its very nature is ‘exclusive.’ If something is white, call it ‘white.’ If something is circular, call it ‘circular.’ Don’t simply play the game of political correctness, saying things that pleases man instead of God. Don’t be afraid to speak up on truth claims. We should not be embarrassed when we state what we believe. If those who accuse Christians of being ‘arrogant and exclusive’ in their truth claims about Jesus, let us not forget, that they too are ‘arrogant and exclusive’ in their own claims about their viewpoints about life. When we see a building on fire, and screams out to the occupants inside to get out, are we going to be embarrassed when they accuse us of being 'arrogant and exclusive' about calling 'fire?" As I remember my belated uncle and his free thinking views, I feel that those who call themselves ‘free thinkers’ may not actually be free to think otherwise. Free-thinkers are more likely those who have chosen to limit themselves exclusively to seeing things their own way. No one else is allowed to change them. So, who now is exclusive?